Magic: The Gathering and Asphalt 7 battle for the top iOS spot, while Android is full of bugs. 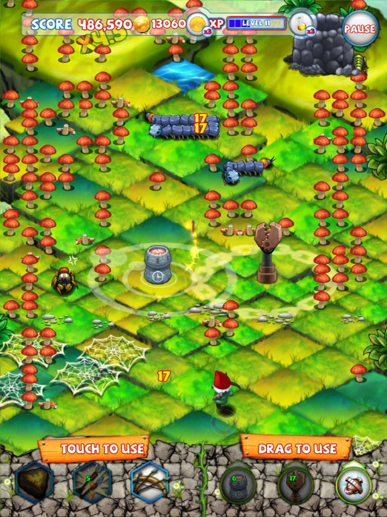 It was another great week of mobile game downloads, with a variety of enjoyable titles to choose from. Adult Swim made some noise with Velocirapture, while Backflip Studios tested our puzzle-solving skills with Band Together. On that note, it's time to find out which iOS and Android games stood out most, and as usual, deciding the App Store winner proved tricky. 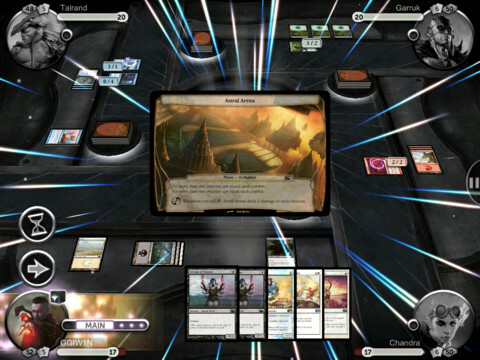 Awarding Magic: The Gathering the iOS game of the week was tough, no thanks to Gameloft's superb racer, Asphalt 7: Heat. On the surface, the choice seemed easy, as the latter received a perfect score, while the card game achieved an impressive 4.5, which ultimately meant (when you consider two different reviewers and genres), that both titles were on an equal playing field. In the end, we gave the nod to Magic, simply because it's the greatest card battle game you'll find on the App Store, and serves as the benchmark for what should be an endless stream of imitators. With more than 250 cards to unlock, seven additional decks, 18 campaign levels, online multiplayer and deep, strategic play, it's the sort of meaty experience that iPad needs, one that'll keep players enthralled for weeks and months to come, so long as Wizards of the Coast supports its creation with a steady stream of updates. Oh, and it's free to download and play. The Atari of 2012 is nowhere close to recapturing its 70s/early 80s glory. That said, much of what the company releases is a far cry from the addictive, quarter-munching arcade titles from back in the day. Thankfully, Centipede: Origins rises above all those mediocre games to do two things exceptionally well: pay homage to the celebrated 1981 arcade original, and give players hours upon hours of bug-blasting goodness. The whole concept of being a gnome is creepy, but that matters little as you take three upgradeable weapons into the fight in a desperate attempt to defend your garden. The action's frantic, the game looks cool and we now have renewed faith in Atari's efforts, at least when it comes to mobile. Bravo to all those involved.